Welcome to Southeast Michigan Commuter Connect! Southeast Michigan Commuter Connect (formerly MiRideshare) is a trip planning and commuter-matching service that provides a one-stop-shop trip planning tool for improving your commute, whether you carpool, vanpool, walk, bike, or take transit. Through Commuter Connect’s easy-to-use interface and mobile app, you can search for all available transportation options for your commute by simply entering an origin and destination. 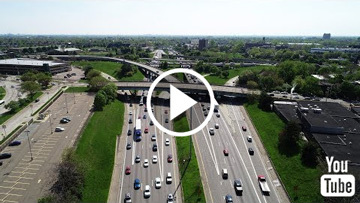 Reduce Southeast Michigan’s carbon footprint by choosing an eco-friendly commute. Whether you want to help the environment, save money, or reduce stress, Commuter Connect helps you to find a better way to commute. Start logging your commutes and you might win a prize. Every mile makes a difference! Find out how to get a dedicated portal for your organization. Keep your peace of mind when carpooling.